It’s official: for all those considering a property investment, NSW is the place to be. Central to the strong revival in Australia’s property market has been the property investor, with the rental market thriving. Owner occupier loans in Victoria and Queensland showed pretty good growth of around 9% and 10% over the last year, and Tasmania’s home loans market grew by more than 20%. But the NSW home loan market outshone even this. Owner occupier finance grew by nearly a quarter in just twelve months. The real action, though, has been in property investment. 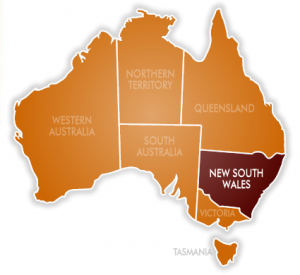 NSW grew its home loan market for investment purposes by almost 30% in the last year. With a low interest rate environment in Australia looking set to continue for some time, and the draw of Sydney as a hub for students and businesses alike, it is perhaps unsurprising that NSW is leading the way in the property investment market. According to the Westpac-Melbourne Institute Consumer House Price Expectations Index, around 74% expect home prices to rise again next year, with 12% predicting rises of more than 10% and Victoria highlighted as the most bullish state. With such a vibrant market, you’ll want to take advantage of the great opportunities available before they disappear in NSW. 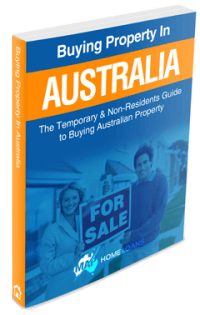 Home loans can be difficult to arrange, especially for those on temporary resident visas. Speed of execution in the current market is a top priority when looking for the best bargains in the auction market, and, with our long and specialised experience and expertise, MAP are perfectly placed to steer you through the complex process in record time. Not only that, but you won’t need a massive down payment, either. We can source loans up to 95% of property value, saving thousands, and meaning your property investment in NSW will produce a profit far faster. With the economic background for the price rises that we’ve seen over the last 12 months or more so conducive to more to come, wise investors will be looking to NSW for their property investment. It looks like there will certainly be no time like the present to make that investment. With the help of MAP and our highly experienced staff, your property investment dreams will become a reality.